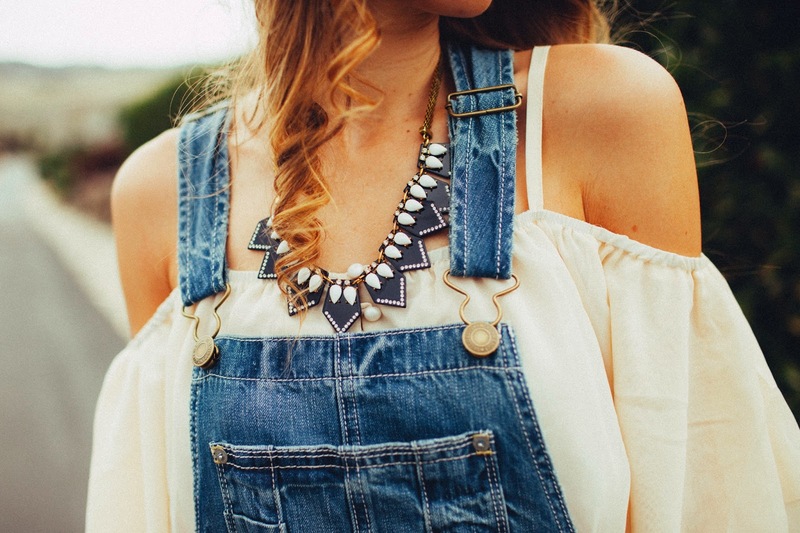 If you haven’t noticed, overalls are my latest and greatest obsession. It definitely takes me back to the days of elementary school when I wore my beloved Limited Too flare cargo overalls at least once a week! 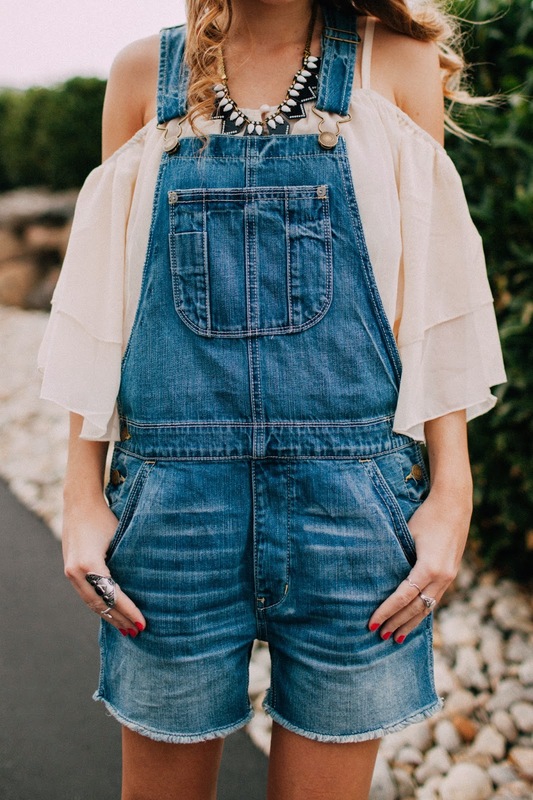 I’m not going to lie, I LOVE that overalls are back and I hope they are here to stay. 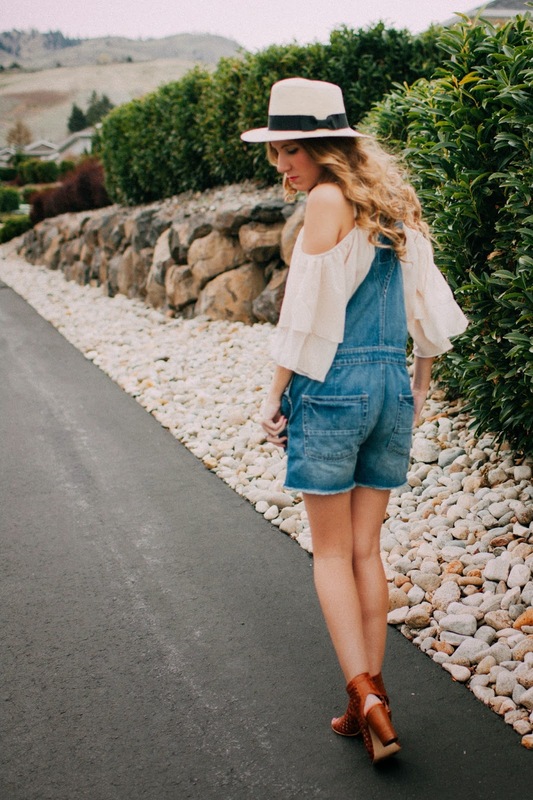 There is something so fresh and laid back about a good pair of overalls, or in this case shortalls, that just makes any outfit give off cool, boho vibes. I’m totally digging it. Since receiving these awesome shortalls from American Eagle, I have worn them at least 10 different ways. I absolutely love how versatile they are and can’t wait to wear them this summer with a crop top or swim suit underneath! They have the perfect amount of slouch and I’m a huge fan of the distressed look of the wash and hem! One of my favorite ways I have discovered to wear these is paired with a feminine flowy blouse and heeled booties. 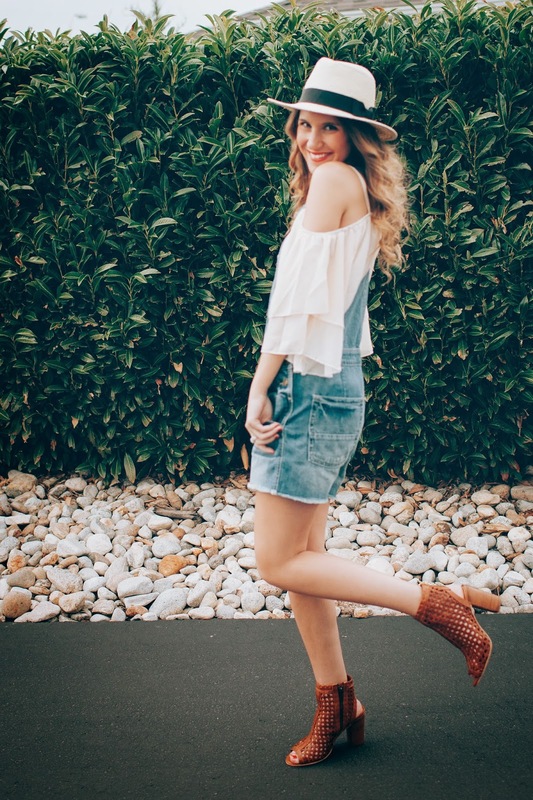 I love the effortless look of the overalls, but adding this sheer, off the shoulder top gives it a little girly feel thats perfect for date night or a much anticipated music festival! I’m telling you, every girl needs a pair of shortalls/overalls in her closet! It’s a new wardrobe staple! 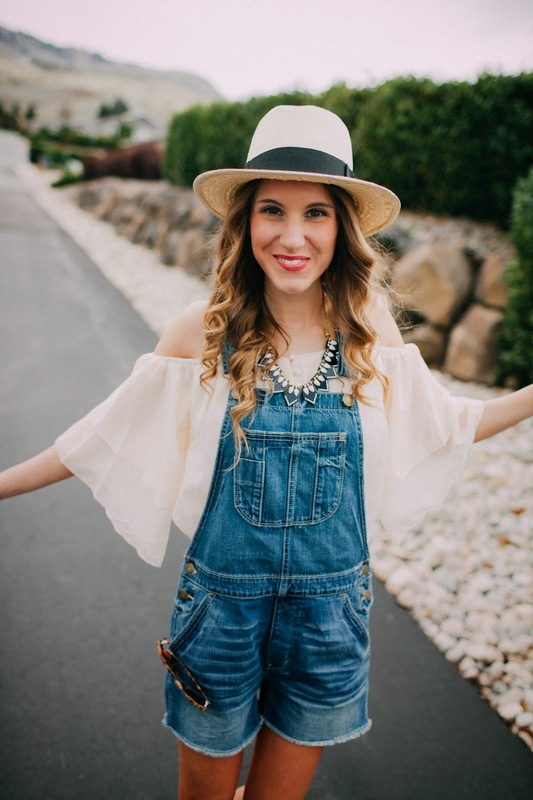 Check out how Marsa from The DayLee Journal styled her shortalls!!! Don’t forget to enter the Kate Spade giveaway! Previous Post Kate Spade Giveaway: 2 Winners!! 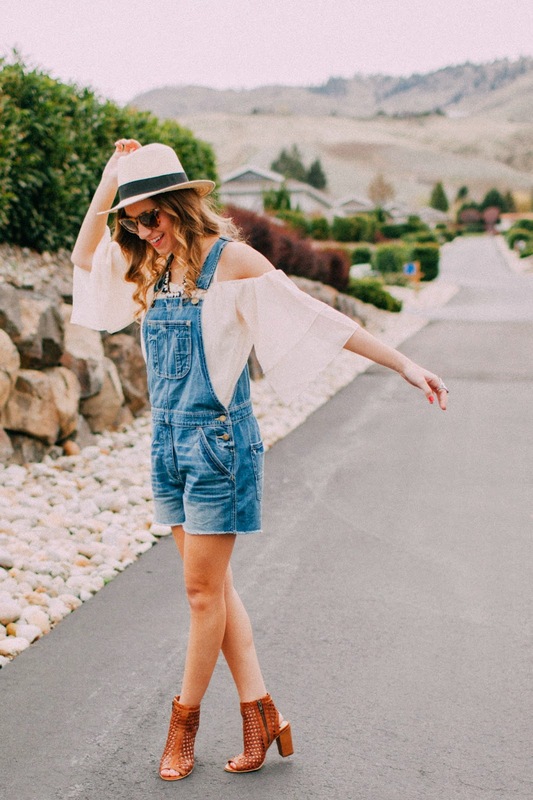 Your shortalls are too cute, I am obsessed! I love this look. 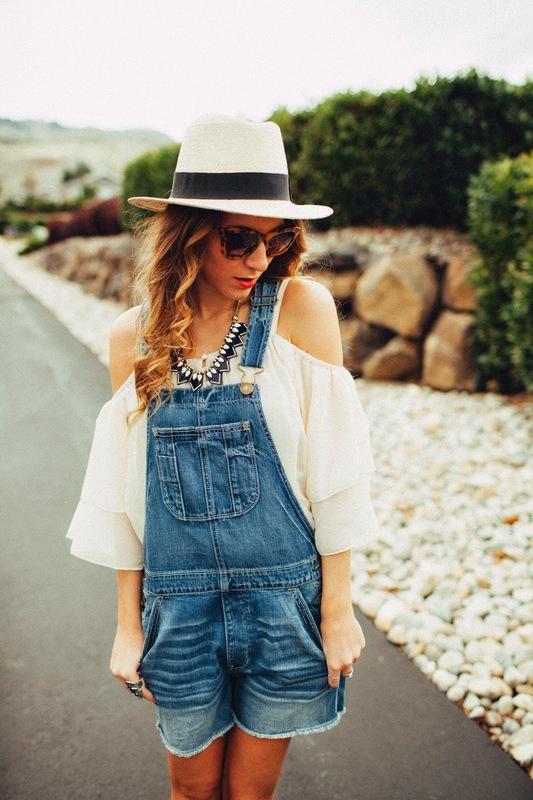 The shirt you are wearing underneath the overalls is adorable! shut up–these are the cutest. you are the queen of boho chic! LOVE this outfit! It is so perfect! Oh my gosh, Ashley, this entire post looks like it's straight out of a magazine! Seriously these pictures are ballin'. And you are the only person that can look cute in that ensemble, I'm sure of it. Your styling is on point! Very styish outfit! You did a great job styling and I adore your heels. You have lovely taste 🙂 Have a fabulous weekend! Oooh comme j'adore ton look !! This is a perfect look! You styled every detail so well, I love it! I really love the blouse you chose to mix with the overalls! good Mobdro group still dealing with the various aspects mobdro on iphone You could install Mobdro from their Own Official best.